The digital and mobile revolutions have changed how people consume news these days. Instead of getting overnight news from a printed newspaper, many people now tend to follow the real-time news on their mobile phones and PCs. To keep up with the fast-paced news cycle, The Korea Herald provides the latest news and multimedia content via social media platforms including Facebook, Twitter and Instagram. The Korea Herald’s Facebook page aims to inform readers about the most important news of the day with the use of videos, photos and live streaming. Reporters from The Korea Herald’s multimedia team pick the must-read stories from The Korea Herald’s website and curate them on the page. 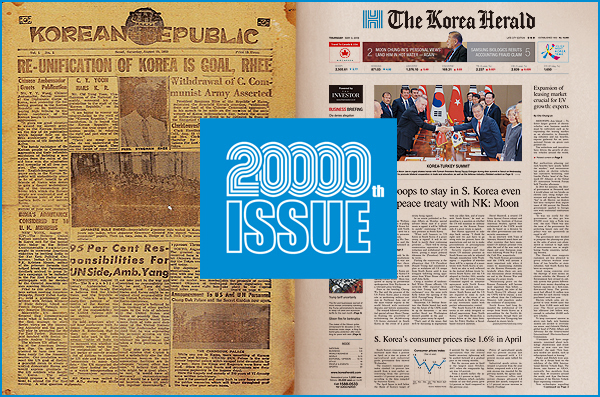 The topics of news articles vary ranging from issues of inter-Korea relationship, gender and race to the K-pop industry. The reporters have been actively filming and editing the videos since 2017 as well, featuring various themes including food, politics, social affairs and trending issues in the country. The live streaming service on Facebook takes the audience to the scene where news is breaking, such as rallies taking place in Seoul or a Hollywood star’s visit to Korea. At the same time, the Facebook page serves an important function in the public sphere, where readers can express their ideas on news articles and discuss the issues in the comments. The followers can also easily share the stories by reposting them on their timeline or tagging friends in the comments. A video that covered a male tour guide service “Oh My Oppa,” for instance, provoked an explosive response on Facebook, garnering over 120,000 views and 2,200 comments. Most comments were written to tag users’ friends and recommend the service to them, while few comments criticized the concept of the business. While the Facebook page highlights various multimedia content, The Korea Herald’s Twitter account tends to focus on delivering news on time, faster than any other news outlets in Korea. Followers on Twitter can easily catch up on current issues happening in the country, as the reporters from the multimedia team provide real-time news updates on the platform every day. The relevant hashtags on each post connect users to wider Twitter threads, providing the opportunity to read more and stay updated on the issues. Similar to the Facebook page, Twitter users can also mark and share their favorite stories by retweeting them on their accounts. When the historic Inter-Korean summit was held on Friday, for example, The Korea Herald posted a total of 57 up-to-the-minute news updates via the social media platform in real-time with trending hashtags such as “Kim Jong-un” or “Pyongyang Naengmyeon.” The breaking news that the two leaders announced a joint statement was retweeted over 120 times and garnered 100 likes instantly. Besides the North Korea issues articles that cover K-pop artists, such as BTS or Twice, are also popular on Twitter receiving tons of favorite marks and retweets from readers. The Korea Herald also runs a Twitter account for the “K-pop Herald,” a website which specializes in the local entertainment scene. By scrolling through the K-pop Herald’s Twitter feed, K-pop fans can follow the latest stories of their favorite artists. In addition to Facebook and Twitter, the multimedia team has been uploading stories via Instagram since January. The posts aim to give a glimpse of life inside Korea through a photo, with a focus on culture for Instagram users. 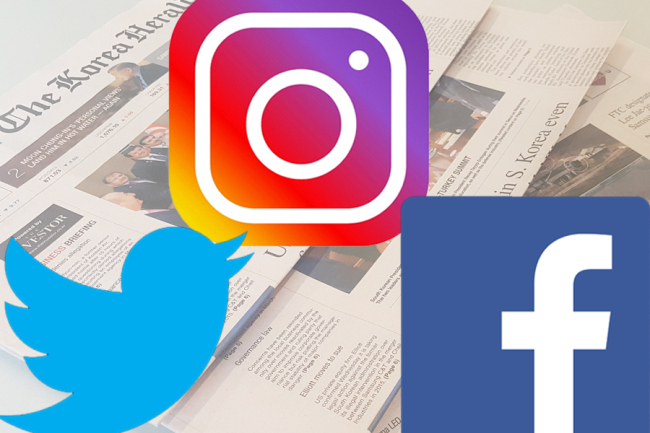 The topics featured on Instagram are much softer compared to The Korea Herald’s other social media platforms, but business or national news articles are also shared depending on the issue. The high-resolution photos on Instagram are carefully curated by the multimedia team’s reporters in a bid to be a feast for the eyes and promote the related article. The captions on the photos, which summarize the gist of news stories, arouse readers’ interests and lead them to click the link to the website.